Our dairy cooler features an abundance of high quality fresh milk and dairy products, most of which are produced in Vermont. You can choose from dozens of kinds of flavored and unflavored yogurts, including Vermont made Butterworks and award–winning Libertè yogurt. If you prefer to buy your milk in an old–fashioned, progressive manner, you will find organic Vermont milk in glass containers in our cooler. 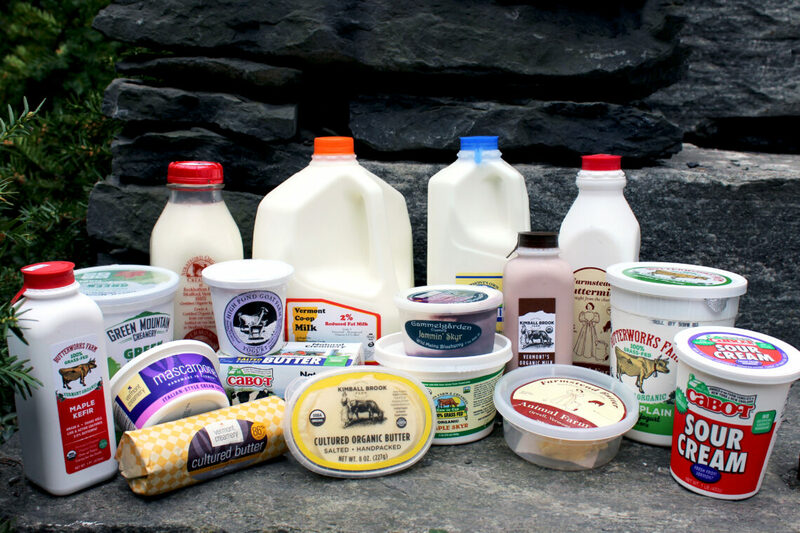 We also carry local fresh goat’s milk, Vermont award–winning butter, quark, and organic kefir. In accordance with MNFC buying guidelines, all our milk and dairy products are guaranteed to be free of artificial growth hormones.